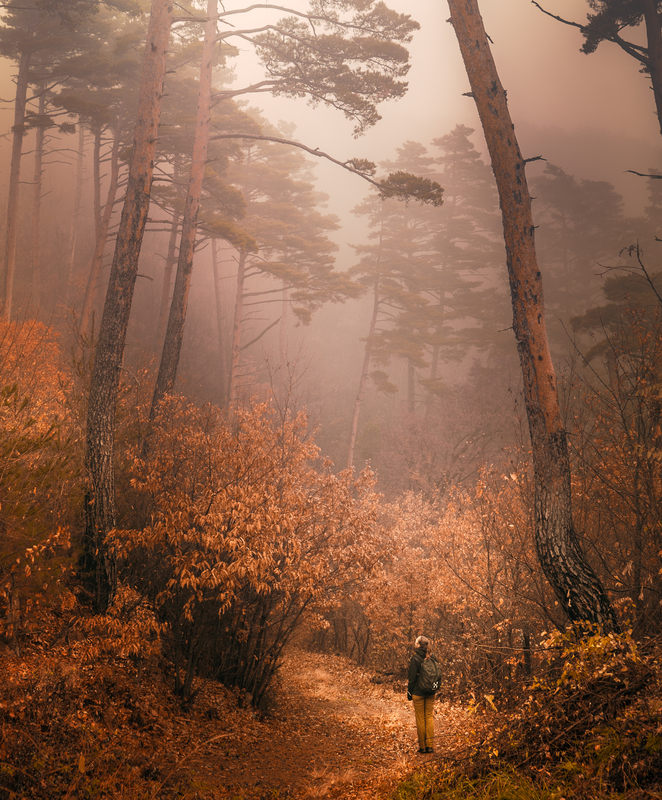 Misty autumn forest in Japanese alps. We tried to find some beautiful mountain peaks but were trapped by thick mist and rain while trekking near Asama Onsen in Matsumoto. Got some nice shots though and luckily got into really nice onsen soon after hiking. There is no better feeling than falling into a steamy hot spring of natural volcanic water. Bliss. Tip: Even though Japanese alps are really beautiful for hiking and mountaineering, be aware that almost all the mountain roads are closed from mid november until spring. And almost all the accommodation in the high mountain area is really expensive all year around starting from about 100 euros. Book early.